MCJV was awarded a contract with QGC for the installation of two (2) 42" (DN1050) pipelines with 100mm concrete thickness from the Queensland coal seam gas fields in the Surat Basin to the Curtis Island LNG facility near Gladstone, Queensland. The pipelines must cross the Narrows seaway passage and adjacent marshlands between the Australian mainland and Curtis Island. 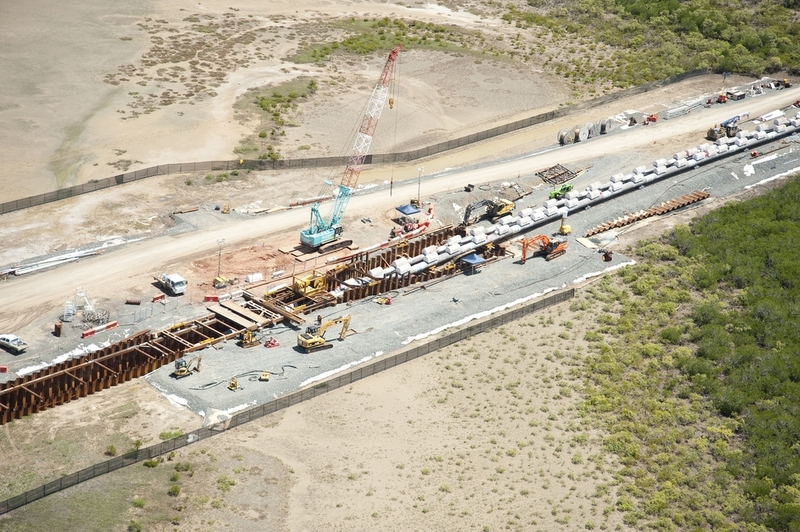 The crossing construction work will be performed using pipe pull method through the Marshland cofferdam, open cut trench through the Narrows, to the Curtis Island cofferdam (shore approach). 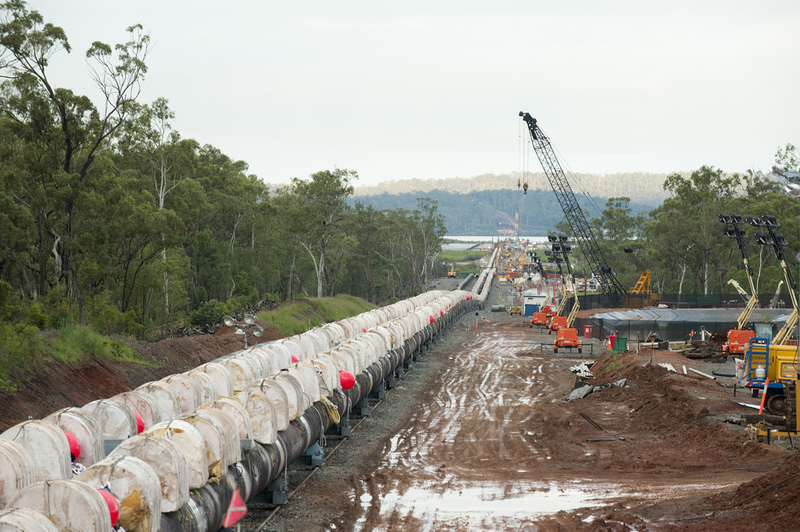 The dual 42" pipeline strings (APLNG and QCLNG) will be pulled using a 450 MT Linear Pull Winch and Ø90mm pull wire. 4) Pipepull construction management to OCS.